When you first start learning about keratin, it can all sound a bit confusing. To make things simple, keratin is a building block for the human body. It’s found naturally in our skin and hair and can help weak or damaged cells grow and heal. Keratin is especially important for our hair. You might be surprised to learn that our hair is made up of 95% of this protein. So it would make sense that a keratin treatment for men would be just as beneficial as it is for women. But if our hair already has so much keratin, why are we adding more to it? If we never did anything to our hair and it was never exposed to the elements, hair smoothing treatments wouldn’t be necessary for most people. 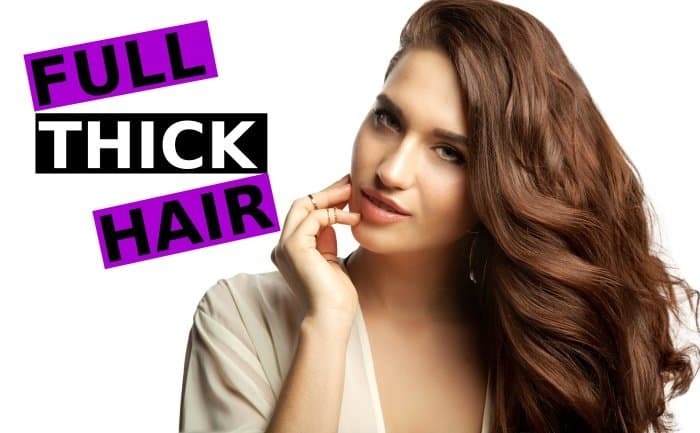 But because our hair becomes damaged over time, and humidity can make it frizzy and dryness can make it weak, infusing our hair with keratin is the best way to fight the damage and leave our hair feeling and looking amazing. If you’re not sure if a keratin treatment for men is a good idea, keep reading. We’ll cover everything you need to know about this kind of hair care therapy. Can Both Men and Women Have a Keratin Treatment? While this type of treatment has traditionally been marketed to women, men can benefit just as much from it. This is especially true for men with longer hair. But even if your hair is shorter, you can enjoy shinier, straighter, and smoother hair with a hair smoothing treatment. While most salons should be able to administer a keratin treatment for men without issues, make sure that they have experience in doing so before scheduling an appointment. Though the treatment process is virtually the same, you want to make sure you’ll love your results. How Much Does It Cost for Men to Get a Keratin Treatment? A mens keratin treatment cost will vary, based on your location and how much competition a salon has. Like most other products and services, you can expect to pay more in larger cities. But a salon in a small town can still charge quite a bit if there’s little to no direct competition. On average, you can expect to spend anywhere from $250-$450 on a treatment. If you’re skilled and brave enough to go at it on your own, which is not recommended for your first treatment, you can save hundreds of dollars. How Long Does a Keratin Treatment Last for Men? Again, the answer to this question can vary. But on average, a man can expect his treatment to last for at least two months and for as long as four months. If you tend to battle frizzy and unruly hair on a daily basis, you can easily see the benefits of such treatments. Your morning routine will become shorter and less frustrating. You can also skip the hat on date night, which is sure to be appreciated by your significant other. Can You Do It Yourself at Home? In general, men are not as talented with the required tools for a straightening treatment, like a flat iron. But if you have a way with heated styling tools and hair products, you can certainly administer your own hair smoothing treatment at home. You even have the option to make your own keratin treatment. Be sure to follow all included instructions with your kit. If you’ve never administered a treatment before, it won’t hurt to have someone help you, preferably someone who’s worked with keratin before. Also, if you’ve never used a flat iron before, give it a few tries before you start. Don’t plug the flat iron in and try running it down your hair in small sections. Women are used to working with the backwards reflection of a mirror while men typically need some practice. This extra step can save you from burns and ensure that your straightening treatment looks as it should. Are Keratin Treatments Safe for Men? Straightening hair treatments are not any more or less safe for men than they are women. The same precautions should still be taken. While these treatments are designed to improve the health of your hair, if precautions are not taken, hair can end up becoming more damaged. Make sure that you use a heat protectant spray before bringing out the flat iron, and follow all instructions perfectly if doing a treatment at home. If you’re at a salon, make sure that they are experienced with such treatments and are following proper protocol. One of the largest concerns regarding these treatments is the release of formaldehyde. This is a necessary component for effective treatment. As long as you make sure the room you’re in is properly ventilated, you shouldn’t be exposed to dangerously high levels of formaldehyde. Even small amounts of formaldehyde may pose health risks though, so make sure to do some research before diving into a treatment. If you’re concerned, you can try a natural alternative to keratin hair treatment. If you’re interested in a hair care treatment but haven’t taken the plunge simply because it’s advertised as a women’s treatment, don’t wait any longer. A keratin treatment for men is just as beneficial as it is for women. Salons are sure to see more male clientele in the future as the benefits of these treatments become more known to the general public.